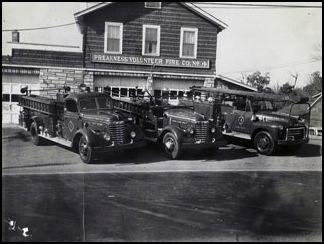 The Preakness Volunteer Fire Company 4 originated early in 1924 after a spectacular blaze. The blaze, in the very rural section of Wayne, destroyed Nick Cassidy's barn, including all livestock. 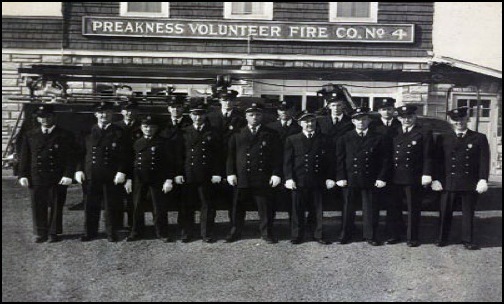 Following the incident, twelve neighboring farmers convened at James Ratcliffe's home and conducted the organizational meeting of the Preakness Volunteer Fire Company No 4. At the conclusion of the meeting Mr. Ratcliffe was named the first President and Mr. Ferdinande Ridgeway became the first Chief. The East Preakness School No. 6, at the corner of Giannone and Ratzer Roads, became the first meeting hall for the original volunteers. 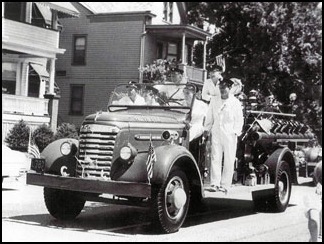 Their first fire engine, a Reo Truck built by the members was housed at the Tintle Garage (Corner of Ratzer Road and Hamburg Turnpike). The current firehouse stands on property purchased from the Torbet family in 1924. Through the generosity of three area families (Hobart - Vice President of the United States; Geade - Paterson silk mill owners; and Mills - wholesale hardware proprietors) and the efforts of the members a two bay, two story firehouse/meeting hall was built. The second piece of fire apparatus, a 1929 Ford Truck conditioned for firefighting, was purchased in 1929. This truck was later followed by a Day Elder Pumper. Several GMC's were purchased from Crane Motors of Little Falls. In 1953 the members completed a large addition to the rear of the fire station for fundraising events. The building went through further expansion in 1959 to house a new 1959 Ford Pumper. In 1971, a four bay engine room replaced this addition. The new bays were built to house two 1964 Ford Pumpers. 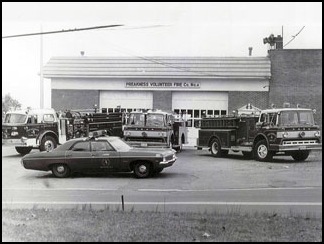 In 1971 the members purchased a new diesel powered 1250 gpm American Lafrance Pumper. This was the last pumper the members were to purchase as a company. Financial problems spurred by poor donations led to an agreement with the Town to purchase all new firefighting apparatus. 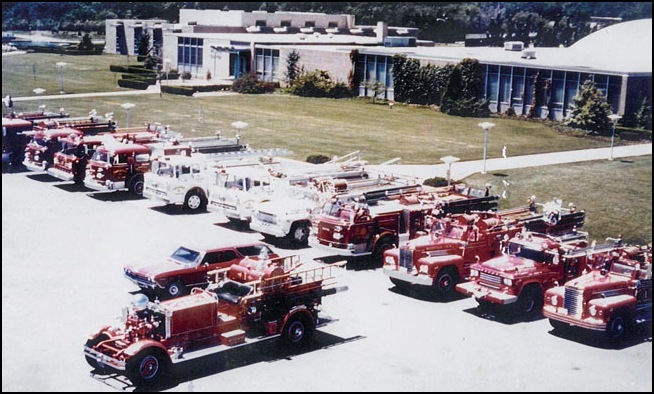 In 1982, the 25 member fire company accepted delivery on a new 1500 gpm Hahn Pumper, which replaced one of the 1964 Ford Pumpers. This truck was the first fire truck purchased by the Township for the volunteer fire department. In 1987 the Preakness Volunteer Fire Company No 4 received it's first aerial ladder, an 80 foot Emergency One 1750 gpm Quint ladder truck. An addition to the rear of the building was necessary to house the new apparatus. In 1992 the American Lafrance pumper was replaced by a 2000 gpm Emergency One Hush Pumper. This pumper was the first to be outfitted for heavy water flow. It carried five inch hose and had a ten man enclosed cab. In 1993 The Hahn pumper was refurbished by Emergency One. This was the first piece of apparatus to be refurbished by the Township. The cost of the refurbishment, as apposed to a new engine, saved the Township approximately $100,000. 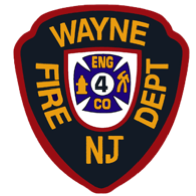 Since 1924 the population of this area of Wayne has jumped from less than 5000 to over 70,000 and fire calls have escalated from 30 per year to more than 900. As conditions change, so too do the needs of the volunteer fire company. Preakness Volunteer Fire Company No. 4 has progressed with the times and continues to provide the most modern and up to date firefighting techniques and equipment available. We look forward to continuing our service to the community.